A lot goes into making the most out of your video conferencing duties. For one thing, you need to put together well-organized and interesting content. Of course, then you need to deliver it flawlessly. There’s also all the work that goes into marketing the conference and making sure people actually show up to it. However, you can tick the box on every one of these video conferencing requirements and still end up with a mess if you forget about the key ingredient: your webcam. Maybe you’ve seen someone else suffer through this experience. Their video conference is perfect, but the image isn’t crisp. Sadly, you may have even found out the hard way – after your conference was done and you watched the recording – that the camera you entrusted with your video conferencing needs didn’t do a very good job. We’ve covered how to find the right webcam before, but in this article, we’re actually going to list your 11 best options. 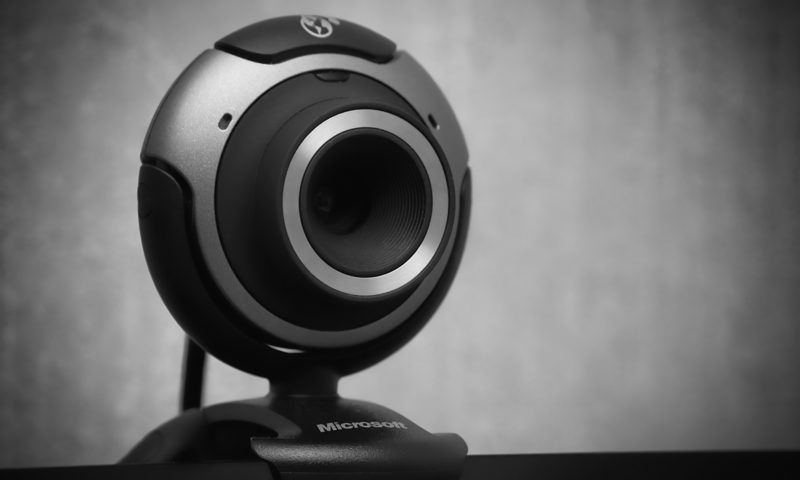 We’ll start with the most affordable device on our list: The Microsoft LifeCam HD-3000 Webcam. You can usually find this one for about $25. It produces clear 720p HD video and uses TrueColor technology to deliver bright and colorful images to your viewers automatically, regardless of the lighting conditions. This camera comes with a universal attachment base, so it can be placed on your desktop, clipped to your laptop or used just about anywhere else. A step up from that option is the Microsoft LifeCam Cinema 720p. It’s only about $20 more and comes with a lot of similar features. However, it shoots at 30 fps (frames-per-second), which is great for streaming your video conferences live. The high-precision glass lens also helps in this department. Despite how affordable this camera is, it comes with a built-in noise-cancelling microphone, so you won’t even have to spend extra money on this vital piece. The 73 degrees of flexibility for tilting up or down with this camera is very helpful, too. You can clip it to your desktop or laptop and not worry that you need to contort yourself to line up with the lens. It can also spin halfway around in either direction. The final step up in this series is the Microsoft LifeCam Studio 1080p HD Webcam. As the name suggests, this one has a few extra bells and whistles to make it appropriate for companies and their professional needs. Even still, you’re only going to spend about $60 or so to make this camera yours. Like the models before it, this one was made with TrueColor technology, giving you bright, colorful videos without requiring a lot of work on your end. Whether you choose the 1080p widescreen option for sharp recordings or want to stream live in 720p, you get an HD result either way. If you plan to use this camera for Skype, this one is certified by the popular company, so you know it will work well for video calls on that platform. Finally, it was also designed to pair with Microsoft’s Lync. This unified communications platform provides a wide range of benefits and you’ll be able to make the most out of them with the Microsoft LifeCam Studio 1080p HD Webcam. Logitech has become known for their many cameras that are great for webinars. There are a number on our list but we’ll begin with a reliable standby: The Logitech HD Pro Webcam C920. This is a great option if you don’t yet know how much video conferencing you plan on doing. It runs between $75 and $100, so you’re not going to be breaking the bank with this purchase, yet it won’t let you down when it comes to filming. It has mechanical auto-focus features, which are essential for making sure you’re in frame and perfectly displayed. The picture quality is excellent, too. Even if you plan to do a webinar every week, if you have a smaller budget, the Logitech HD Pro Webcam C920 is very easy to recommend. Next, we have another popular Logitech webinar hosting solution. The Logitech C925e is just a bit more expensive than the last model; typically, you won’t find it for any less than $100, but, again, it’s worth every penny. Your video conferences will be delivered to viewers in HD no matter which setting you choose. It’s also a great webcam for those who are new to video conferencing because of its RightLight 2 technology. This feature makes sure that the camera adjusts to low-light or backlighting so you get the best possible visual quality. Most rookies aren’t adept at making changes to their lighting for the optimal picture. For what it’s worth, a lot of veterans aren’t either. However, the right lighting is essential to a good video conference, so this technology is fantastic. Using the Logitech Webcam C930e for your video conferencing will run you about $130. This is another model that will give you an amazing picture. It’s actually very popular for telemedicine because of this reason. It features a 90-degree diagonal point of view and offers a very smooth HD experience for your videos. The pan-tilt-zoom feature is also great for all kinds of different video conferences. If you need to show the audience how to do something with your hands, for example, it will be easy to adjust the camera during your video conference and then bring it back to your face when you’re done. The Logitech QuickCam Orbit AF was a fairly popular video conferencing solution. It was discontinued, though, and replaced with the Logitech BCC950 Conference Cam. With one look, you’ll immediately notice it’s a bit different from the majority of other webcams out there. That’s because of its stick mount that stands up nine inches from the base. This makes it easy to put the webcam on something like a table and have it sit at eyelevel without needing to add anything below it. The cord length was also improved to eight feet (from six feet) over the prior model, which makes it very convenient to use in a number of locations. If you do use it for a conference call, the cord length allows you to move the camera around the table as necessary. The replacement model also gets a remote to control it. This cool feature is something we hope to see from more video conferencing solutions going forward as it can look unprofessional to have to manually adjust the camera when you have people on the other side. Typically, this webcam goes for $250, but you may be able to find it for a bit lower than that. Next on our list of video conferencing cameras we recommend is the Razer Stargazer Depth-Sensing HD. Obviously, right in the name, you can tell that it will give your audience HD videos. If you’re hosting your video conferences live, the 60-frames-per-second will also produce an incredibly lifelike video. These features are enough to make this webcam a phenomenal choice but we also love that its depth-sensing features allow you to decide what kind of background you’ll have on your webinar. You can get rid of it completely or decide to switch it out for another image altogether. The Razer Stargazer Depth-Sensing HD Webcam can sit on its stand or you can remove it and clip it to the top of your laptop. Another Logitech video conferencing camera to make our list is the Logitech HD Pro Webcam C910. It offers HD recording with 1080p video and 720p when streaming. The Logitech fluid crystal technology ensures your viewers get a smooth, crisp image. This is also helped to physical components like the Carl Zeiss lens this camera uses. Autofocus and auto light correction take the guesswork out of the producing the most visually appealing video. The special feature that really makes this video conferencing solution stand out, though, is its one-click video uploading option. If you’re regularly hosting conferences because they’re a major part of your content marketing plan, you’ll probably get to the point where they come quite naturally to you and you don’t need to spend another hour or two editing or otherwise perfecting them. With this feature, you just click a button and the video can be on YouTube or Facebook ready for your viewers to watch. Finally, the built-in noise-canceling mics on this webcam are a great touch. You’d otherwise want to invest in some on your own. Depending on your needs, this video conferencing camera may be exactly what you need. Fair warning: it’s a bit more expensive than the others on the list so far. You’re looking at spending between $350 and $400. This device films in 1080p video and auto focuses. It’s another camera that comes with fantastic noise-cancelling built-in speakers. Full duplex omni-directional mics ensure you come in clear, as well. You can also mirror the screen of your mobile device with this camera. If you’re doing a presentation on how your app works, for example, this would be extremely easy to do with the Logitech ConferenceCam Connect Video Conference Webcam. The same is possible with your TV or computer screen, too. Just about any screen you want to share with your viewers is an option. Finally, the remote control that comes with this webinar hosting solution is really handy. Last, but not least, on our list of video conferencing cameras we recommend, this model will cost around $400 but has a lot going for it. For one thing, you get 3x optical zoom, which means you can have a variable focal point, something that’s impossible for a fixed camera to match. This is another webcam that comes with a remote. The remote can change the focal point as much as you please without any manual adjustments during filming. It can also be used to turn the camera left or right and up or down. The camera can wide zoom out 81 degrees and has a 36-degree tele-zoom field of view. Amongst other things, these kinds of capabilities make this webcam an ideal solution for filming in anything from your office to conference rooms to larger spaces. No matter how much room you need for your video conference, this camera can accommodate the demand. Obviously, this makes it an ideal solution for teleconferences, too. You can have as big a team as you want in on the call. As you’d expect from this high a quality of camera, it shoots in full 1080p at 30 fps. Its megapixel image sensor also helps to deliver a crystal-clear image. Even with this kind of attention to detail, this camera has received high marks for its ability to pick up a whiteboard without producing lots of glare. Whiteboards are very popular for video conferences, so if you have plans on using one, this camera won’t let you down. Video conferencing can be a challenge. It’s not just as easy as sitting in front of a camera and talking. There’s a lot more to it. However, if you don’t have the right camera sitting in front of you, the rest of your efforts will not only go to waste – they may be counterproductive. Take your time choosing from the 11 we’ve listed above, as this decision will affect how well your webinars are received. Then, if you want help hosting video conferences feel free to contact us.